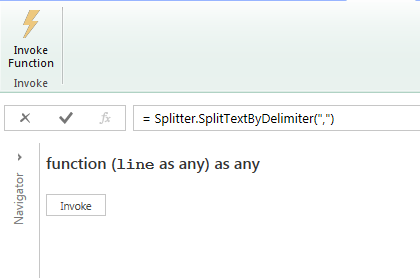 At the end of the Power Query Formula Library Specification (which can be downloaded here) are sections on Comparer, Combiner, Replacer and Splitter functions. These functions are most often used in conjunction with other functions like Table.CombineColumns() and Table.SplitColumn, but what you may not realise from the documentation (which also has a few minor but nonetheless confusing bugs in it) is what these functions do: they are functions that return functions, and the functions that they return can be used independently just like any other function. The Replacer functions return functions for replacing values in text , while the Comparer functions return functions that can be used for comparing text using specific cultures and case sensitivities. Lovely lambda expressions – but can you create new ones in “M”? I imagine “yes” but I’ve never seen an example. Hi Chris. You mentioned a few confusing bugs in the documentation Comparer, Combiner, Replacer and Splitter functions. What issues are you seeing? There are a few typos in the PDF library document. I’m on vacation right now but when I get home I’ll send you the details. Could you please send those typos to us (the PQ team)? The easiest way to get the info to us is to open Excel, go to the Power Query tab and then hit the Send Feedback button. Thanks! I will – I’m still on vacation though! 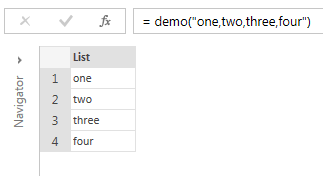 In actual fact the first parameter is text, not a list. …which is missing the optional third parameter.